If someone has already sued you, it’s too late to protect your assets. The time to take action is before you get involved in a lawsuit. Several options exist, but if you implement them too late, the court may consider they’re an intentional effort to defraud individuals or companies to whom you owe money. Some living trusts can protect your assets when you transfer ownership of them from yourself to the trust entity. This isn’t the case with revocable trusts, however. Revocable trusts allow you to undo them or move assets in and out of them at will so you technically retain ownership. You must form an irrevocable trust if you want to protect the assets you place in it, and this means relinquishing ownership. Forming an offshore trust is another option, but it’s not without risk and it can be expensive. An offshore trust is created in another country, such as the Bahamas, where the laws grant revocable trust assets immunity from creditors and lawsuits. But you’re entrusting the fruits of your labors to the vagaries of another government, and Congress has been clamping down on this means of asset protection with its own laws. What Happens If One Waives Homestead Rights in Illinois? You may want to simply give your property away to your spouse or child, but this can be risky as well. If your relationship deteriorates for some reason, you may not be able to get your property back. You would have no legal right to the assets any longer, as would be the case if you moved them into an irrevocable trust. If you transfer your separate assets into your spouse’s name then break up, many courts will rule they’re now her property and not divisible in a divorce. Moreover, although you can give unlimited property to your spouse without incurring a gift tax, you can only give your children or others $14,000 per year, as of 2014 – anything over and above this triggers the tax. If you’re not comfortable transferring ownership to someone else or to an irrevocable trust, check your insurance coverage. If your gazebo crashes down on someone who’s enjoying your lovely backyard and he sues you for his injuries, your insurance company is obligated to defend you if you have umbrella coverage. If you lose the lawsuit, your assets aren’t typically at stake. Not all assets are vulnerable to lawsuits in any event. Federal law holds ERISA retirement plans out of the reach of creditors. Some state laws extend this to traditional IRAs as well. Many states provide homestead exemptions for real property you live in, or at least a portion of the home’s equity. If you’re married and hold title to your primary home with your spouse as tenants by the entirety, it’s typically safe from creditors, including those you owe because you lost a lawsuit. If you encumber assets by using them as security for loans, there may be no equity in them because the lienholders are already first in line. This may discourage someone from filing a lawsuit against you in the first place – he’s not likely to be able to collect on any judgment the court awards him. But speak with an attorney before taking this route. You’ll still owe the loan or loans you took out, and if the proceeds are cash sitting in a bank account, this could be up for grabs in a lawsuit. 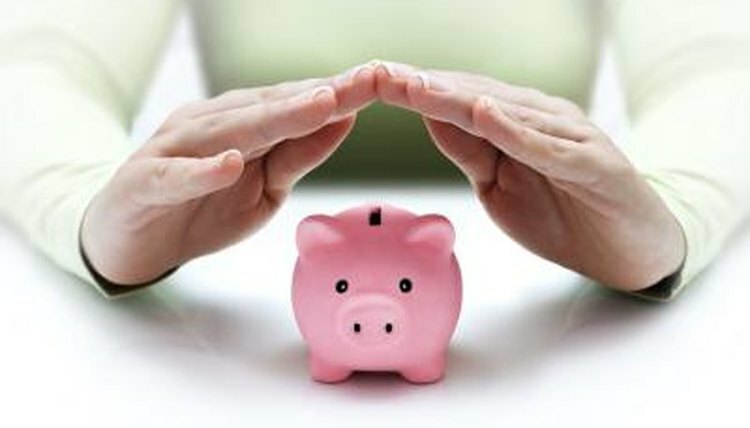 The trick is to implement any asset protection plan well in advance of needing one. This means when nothing has occurred that could give rise to a lawsuit. It’s the event or cause of action that marks the difference between honest planning and trying to elude your creditors or a judgment collector. In most states, fraudulent conveyance is against the law, even if you transfer your assets into a trust. Bird, Beverly. "How to Protect Your Assets When Getting Sued." , https://legalbeagle.com/4687391-protect-assets-getting-sued.html. Accessed 25 April 2019.